Geminid Meteor Shower Peaks on the night of Dec. 13/14th. Hourly Rates during the peak can exceed: 100 – 120 meteors per hour. Moon: Nearing First Quarter and should set by 10pm local time. 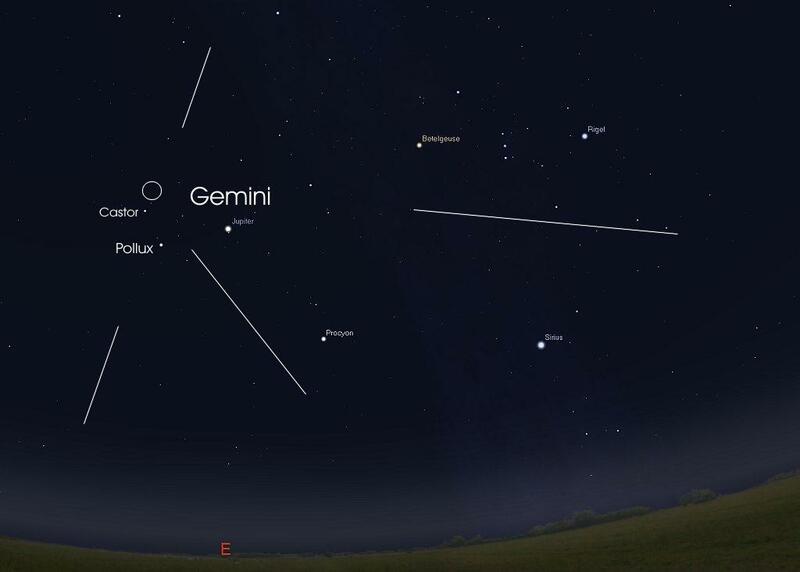 The radiant (where the meteors appear to come from) in the Constellation Gemini is well above the local horizon by 9pm. This allows the Geminids to appear earlier in the evening than most of the other major meteor showers. The best viewing time (highest rates) will be between 2 and 4 am. Set your Alarm Clock! Watch the MeteorCam for Detections and updates. 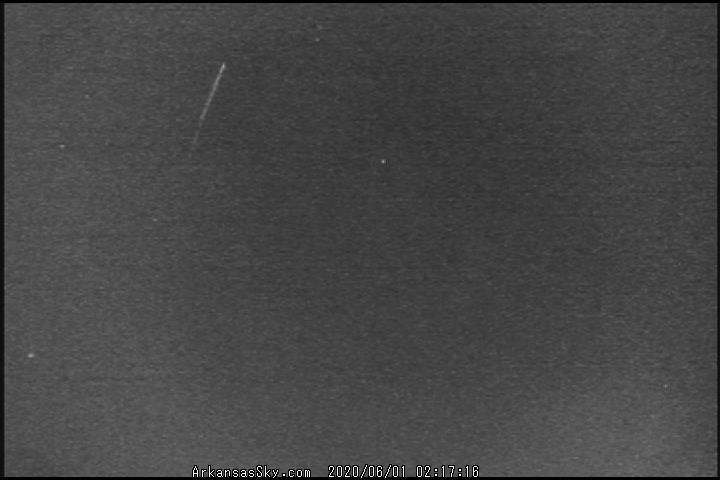 The sky as it appears in Arkansas around 10pm local time on the night of the peak. The bright stars Castor & Pollux mark the ‘heads’ of the Gemini twins. They can be found just to the left of Jupiter, which will be the brightest ‘star’ in the eastern sky in early evening. The Gemini meteors will appear to come from near Castor. Please visit the Meteor Detection Page to see images of the latest Geminids detected by the MeteorCam. Any of these images may be freely used by the media to cover the meteor shower. The following Video clips from the Perseid Meteor Shower may also be used. Please contact us at observatory@arkansassky.com if we can provide further information or resources.